The development of computational models for the numerical simulation of chemically reacting flows operating in the turbulent regime requires the solution of partial differential equations that represent the balance of mass, linear momentum, chemical species, and energy. The chemical reactions of the model may involve detailed reaction mechanisms for the description of the physicochemical phenomena. One of the biggest challenges is the stiffness of the numerical simulation of these models and the nonlinear nature of species rate of reaction. This work presents a study of in situ adaptive tabulation (ISAT) technique, focusing on the accuracy, efficiency, and memory usage in the simulation of homogeneous stirred reactor models using simple and complex reaction mechanisms. The combustion of carbon monoxide with oxygen and methane with air mixtures are considered, using detailed reaction mechanisms with 4 and 53 species, 3 and 325 reactions, respectively. The results of these simulations indicate that the developed implementation of ISAT technique has a absolute global error smaller than 1 %. Moreover, ISAT technique provides gains, in terms of computational time, of up to 80 % when compared with the direct integration of the full chemical kinetics. However, in terms of memory usage the present implementation of ISAT technique is found to be excessively demanding. 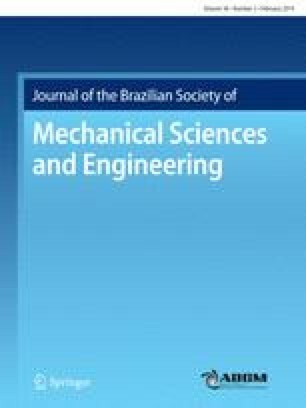 The authors acknowledge the support awarded to this research from CNPq, FAPERJ, ANP and Brazilian Combustion Network. The authors are indebted to Professor Guenther Carlos Krieger Filho from Universidade de São Paulo (USP), for providing the code that served as example to the code developed in this work, and for his hospitality during the authors' visit to USP. This work was performed while the second author was on leave from Institut Pprime, CNRS, France.